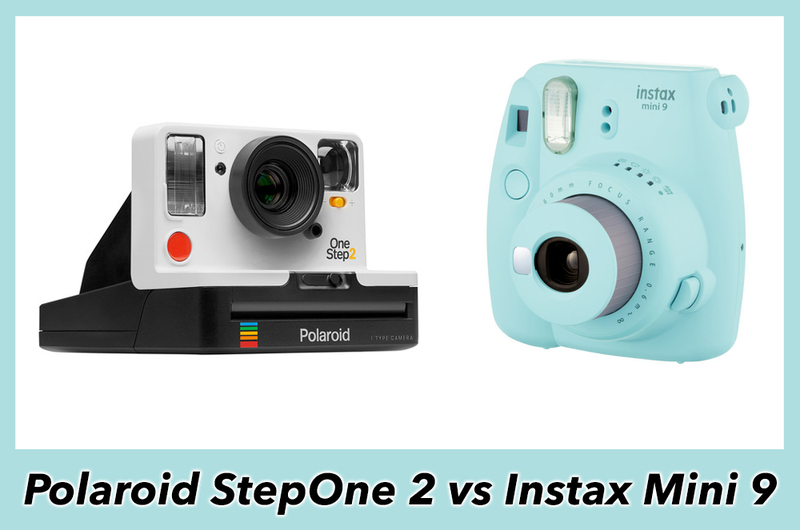 If you’ve stumbled across this article, you are probably wondering what the main differences are between these two instant film cameras, so let’s take a look! Ethics statement: This article is based upon our personal experience with the Mini 9 and the official specifications of the OneStep2. We were not asked to write anything about the cameras, nor were we provided with any sort of compensation. Within the article, there are affiliate links. If you buy something after clicking the link, we will receive a small commission. To know more about our ethics, you can visit our full disclosure page. Thank you! The type of film used for each camera is easily the biggest difference. 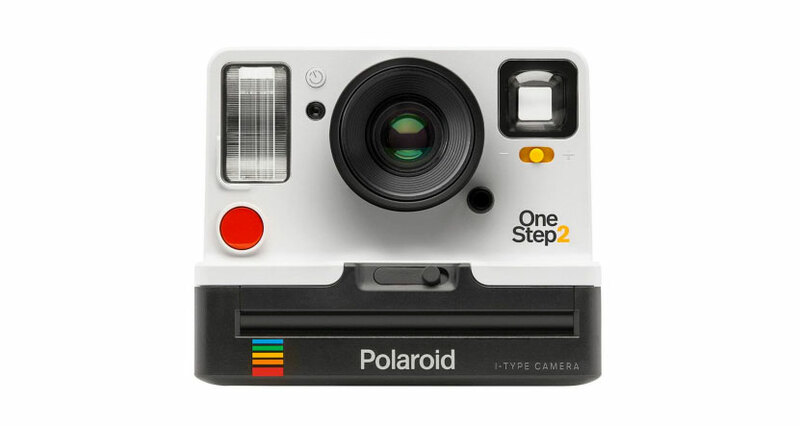 The Polaroid OneStep 2 accepts either the Impossible Project’s I-Type Film or 600 Film, but old Polaroid film is also compatible. 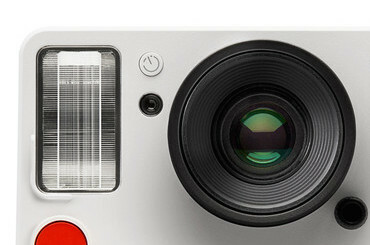 Containing 8 photos per pack, it loads via a drop-down door at the front of the camera and takes anywhere between 10-15 minutes to fully develop. 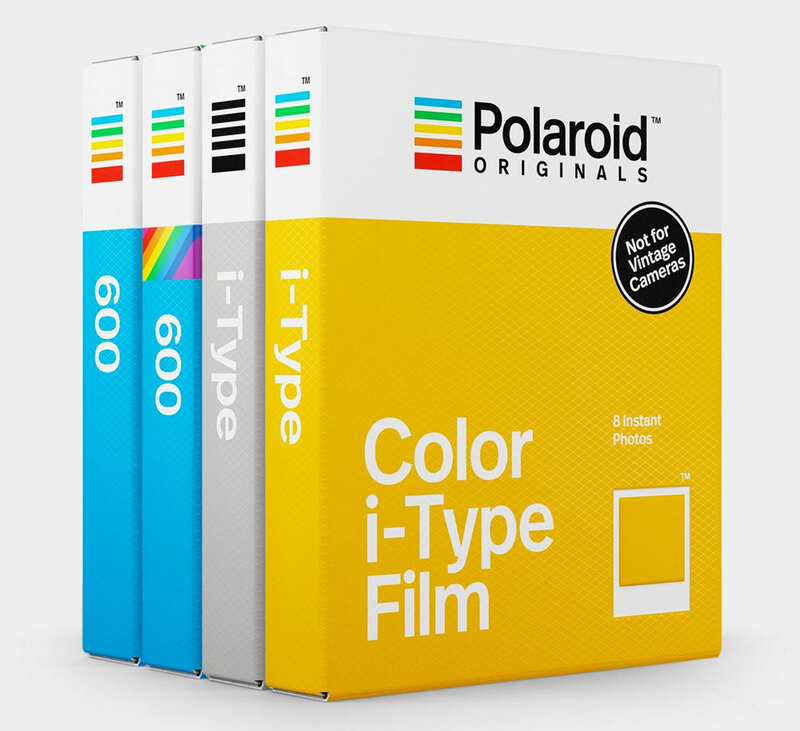 The I-Type film costs $16 whereas the 600 film costs $19. Both measure 107mm x 88mm with an image area of 79mm x 79mm. The Mini 9 takes Fujifilm’s Instax Mini film which, being about the size of a business card, is much smaller than Polaroid film. (The precise measurements are 54mm x 86mm with an image area of 46mm x 62mm.) 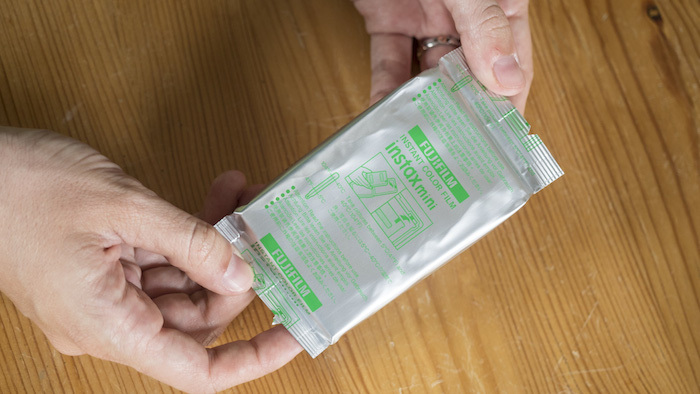 It contains 10 photos, takes an average of 90 seconds to develop and is also cheaper at around $10 per pack, though buying in bulk can further reduce the price. A smart and environmentally friendly addition to the Polaroid OneStep 2 is the MicroUSB port which serves to charge the internal lithium-ion battery. Each charge is said to last around 60 days. 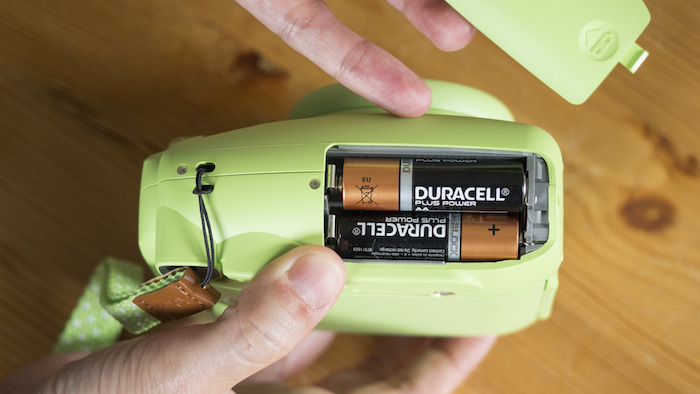 The Instax Mini 9, by contrast, takes standard AA 1.5V alkaline batteries that must be replaced every 100 shots. The OneStep 2 has a fixed 106mm lens (approximately 40mm in 35mm terms) constructed from optical grade, coated polycarbonate and acrylic. The Instax Mini 9’s lens, on the other hand, has a wider focal length of 60mm (35mm in 35mm terms). It too is fixed but it pops out from the body when you turn the camera on and features a small mirror on the front to help you compose self portraits. 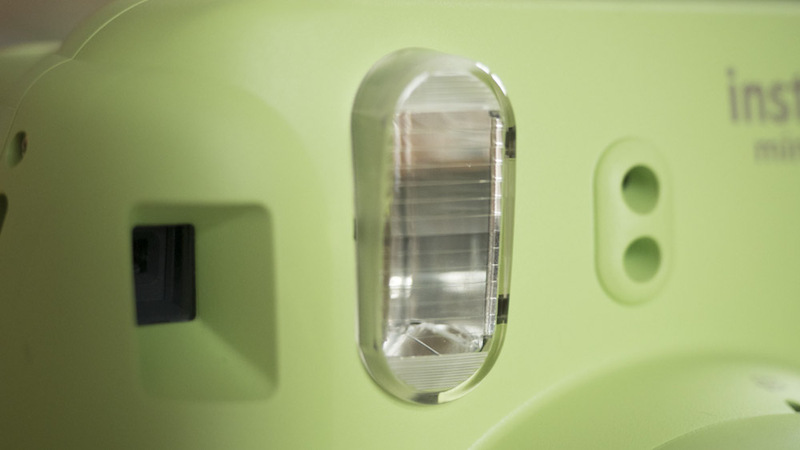 With the Instax Mini 9, you can change the aperture value by adjusting the brightness dial. They are as follows: f/12.7 (indoors), f/16 (cloudy), f/22 (sunny) and f/32 (very sunny). The shutter speed remains fixed at 1/60 of a second. It is still unclear whether the OneStep 2 changes the aperture or shutter speed (or both) to achieve the correct exposure. Both have a native focus range of 60cm to infinity but with the Instax Mini 9, you also receive a close-up lens which, when attached to the lens unit, lets you focus as close as 35cm for selfies or semi-macro work. On the Instax Mini 9, the flash automatically fires regardless of the light conditions. The OneStep2 also has an automatic flash but if you are outside in bright sunlight, you can press the flash override button on the rear while taking a picture to stop the flash from firing. 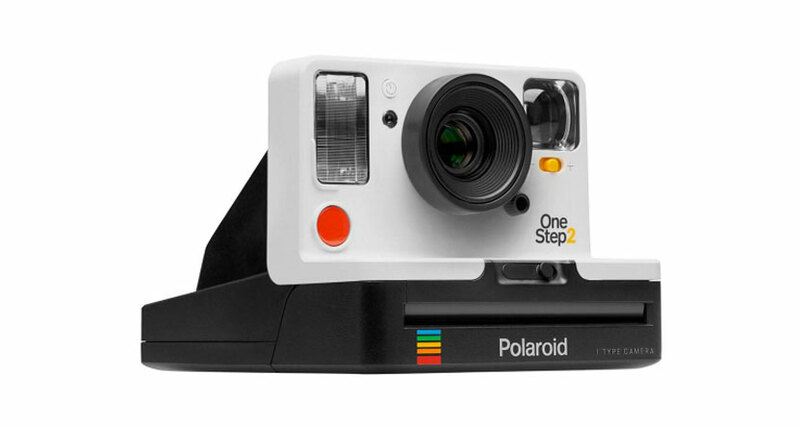 The Polaroid camera has the angular shape of the original OneStep 600. Its lens, placed square in the middle of the body, is flanked by a large built-in flash on one side and an optical viewfinder on the other. 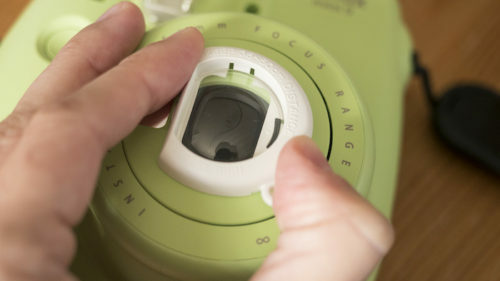 It features a self-timer button, a yellow slider to adjust exposure, a red shutter button, a flash override button, and eight lights on top that display the remaining number of shots. It comes in either white or graphite. 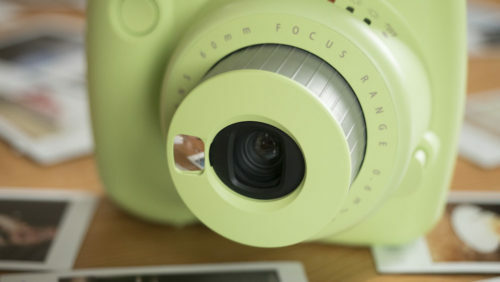 The Instax Mini 9 has a round toy-like appearance which is one of the main reasons for its appeal. It features a chunky grip that lets you use the camera in either landscape or portrait orientation, as well as a few basic controls such as a shutter button, flash, optical viewfinder and brightness dial with five settings. It comes in five default colours: lime green, cobalt blue, ice blue, flamingo pink and smoky white. Technical specifications are one thing, but how a camera behaves in actual use is another ballgame entirely. 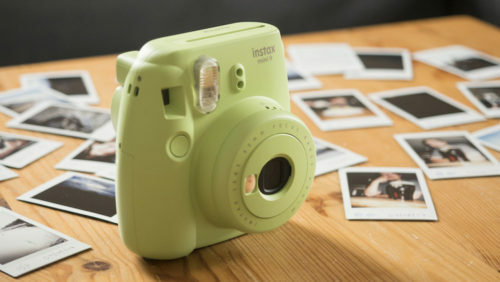 As long-time users of the Instax Mini 9, we already know that the Fujifilm camera is fun, easy to use and produces very nice prints (you can see our review here), so we are very curious to see how the new Polaroid OneStep 2 compares, both in terms of handling and the quality of the film. We currently have one on pre-order, so now it’s just a matter of waiting until it arrives on our doorstep in mid-October!